DieTrich Thrall of BEAUTY IN THE SUFFERING (left) with Matt DeVries of FEAR FACTORY @ The Bayou Music Center in Houston, TX for the Megadeth, Fear Factory, and Nonpoint show on 12.12.13. 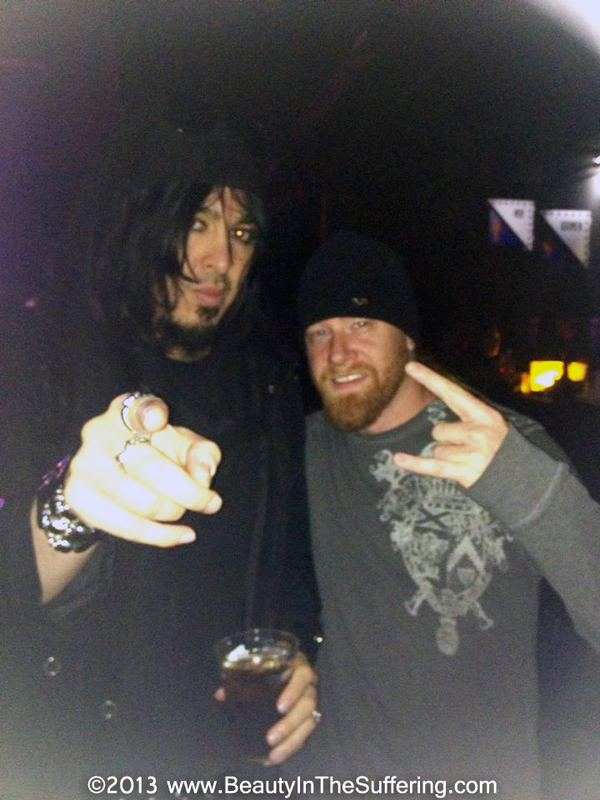 DieTrich Thrall of BEAUTY IN THE SUFFERING (left) With FEAR FACTORY Bassist MATT DEVRIES (right) @ the MEGADETH, FEAR FACTORY, NONPOINT concert in Houston, TX on 12.12.13. CHICAGO, IL (DLSP) — BEAUTY IN THE SUFFERING, the newly launched electro-metal studio project from producer DieTrich Thrall (MARAZENE), have released the lyric video for their debut single “The Crazies (The Zombie Song)” – the ultimate zombie apocalypse party/rally as told from the perspective of the zombies. The track originally premiered on FEARnet and is available for download now at the bands Bandcamp page. Tracking for BEAUTY IN THE SUFFERING, who plan to release their initial releases backed with full production zombie videos, is being done at PIRATED SOUNDS STUDIO and BELL LABS RECORDING in OLAHOMA CITY, OK with SKINLAB guitarist PROVO PROVENZANO (RIKETS) handling engineering. 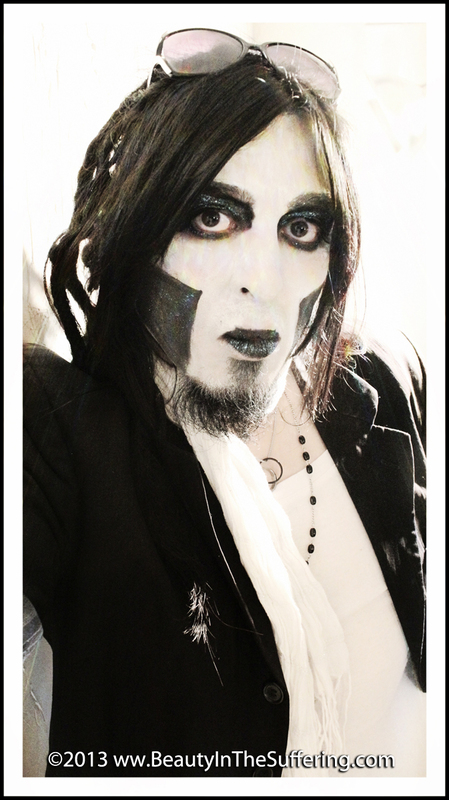 DieTrich is best known for his co-founding and co-visionary role in the industrial-metal band MARAZENE (later called MARAZENE MACHINE). From managing the band during its most active and successful national touring years (2006-2008), to co-producing the band’s critically hailed cover of MÖTLEY CRÜE‘s “Live Wire” in 2011 as well as the band’s lone official full-length album (“MachiNation“, 2006), to writing fan-favorite tracks such as “Give“, to guiding the band’s philosophical and edgy lyrical approach (“AnTiThesis“, “Infidel Society“), and producing multiple videos for the band, DieTrich’s contributions and influence are heavily noted. Z MINUS THREE DAYS until we drop our FIRST SONG EVER called “THE CRAZIES”!! Sacks and racks to the event page: https://www.facebook.com/events/1380417025512351/ – DO IT!! !